The Durham Attack Silver Hawks ventured off to Ottawa for their first away/overnight tournament. Our first game against the Ottawa Fusion White, started with initial nerves for our Silver Hawks. They quickly came together as they applied their basic skills and played their game. Their efforts were rewarded with a 25-12 win. 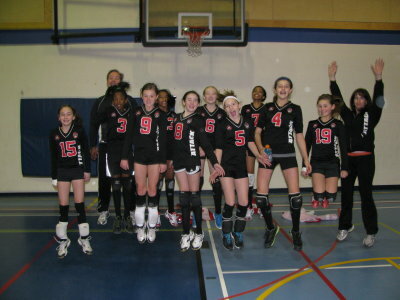 The Ottawa Fusion White team ramped up their game and our girls suffered a loss of 15-25. Game three was played with excellent digs by all and after evenly trading points back and forth, the Silver Hawks took the match with a 15-9 victory. The next match against the Maverick Rattlers started strong and the play was even between both teams. The Mavericks were tough with several hits and the Hawks needed to cover all corners of the court. Their best efforts fell short and unfortunately weren’t enough and they succumbed to a 16-25 loss. Game two was exciting as the girls fought back with grit and determination. Our Silver Hawks used their blocking skills, digs, amazing sets, utter drive and pure grit to own their side of the court. The score became close and the Hawks buckled down and played their own game to garner and win the game by defeating their opponents by a score of 25-22. The final game was a nail biter and the teams, coaches and parents were the only ones left in the otherwise empty gym. The Maverick’s hits were constant and while the Hawks exerting all they had, they experienced a heart breaking loss of 9-15. After a very short lunch break, the Silver Hawks were facing one of our other Durham teams, Durham Fire. The Hawks were tentative and failed to bring their “A” game onto the court. They suffered a 10-25 loss against their club mates. The beginning of game two initially looked like the Hawks had regained their focus and buckled down for the game. Unfortunately, they were unable to capitalize on their combined efforts and lost 9-25. This done, their sportsmanship shone as they wished the Durham Fire much luck in their next upcoming games. Onwards the Silver Hawks continued as they faced their final opponents (Ottawa Fusion White) in their last match of the day. The team regrouped, and spent some time having a fun game together of “sitting volleyball” while waiting for their last match. The team that showed up on court #3 was focussed and single minded as they wanted to end their day with a victory. Everything clicked for the Hawks who displayed amazing serves, and some rocking hits! Their efforts were rewarded with a 25-17 victory. Their next game was equally exciting as the girls built upon the momentum from the previous game. The athletes all shone in game two, as they executed three hits every time, repeating the rhythm of bump, set, and spike. The passes and excellently executed sets built the foundation for several great spikes and points! The girls’ concentrated and combined efforts were rewarded with a 25-14 win which was the perfect way for them to end their tournament!! CONGRATULATIONS to all of our athletes (and coaches) who brought their skills, determination and perseverance to this tournament! This was the Silver Hawks first official OVA tournament of the season. At the outset, the girls had to adapt and adjust their play to match the firm OVA officiating. The Silver Hawks dug deep and fought hard for each point but were unable to find an effective formula to consistently beat the other teams. The Team came away from this tournament with a new found respect for the calibre of play of the other teams. This experience has now focussed the Silver Hawks (along with their coaches) to sharpen their skills and abilities to better prepare them for future competitions. Congratulations to our athletes and coaches on their continued journey in the pursuit of excellence. 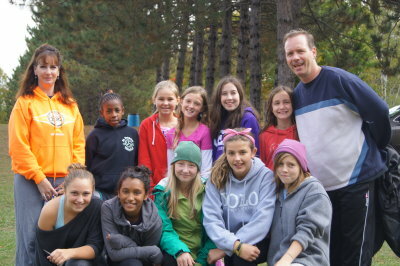 The U13G Silver Hawks are heading to the second tournament of their inaugural season on Saturday, December 8th, 2012 at Huron Heights Secondary School, in Newmarket. 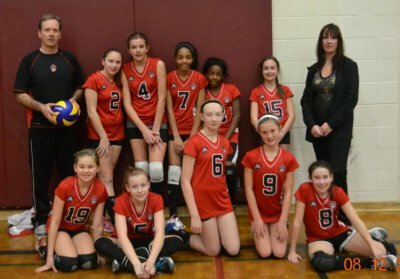 The girls will be playing in the 13UG Provincial Cup tournament, in the Trillium Zone D.
Our Silver Hawks together with the 13UG Smash Team, will be representing the Durham Attack Volleyball Club at this tournament. If you are in the neighbourhood please feel free to come by the cheer everyone on! After an early morning drive to Baden, ON (west of Cambridge), the Durham Attack Silver Hawks were ready to play in their first competition together! The Waterloo Invitational tournament would provide the girls their first competition setting as a Team. No one knew what to expect on this day as it was their first tournament (and games) of the season. A few nerves were apparent as the girls begin their first game. Pool play had the girls facing off against Etobicoke team. The game had all fans on the edge of their seats and unfortunately, the Hawks lost two games each with a score of 24-26. After a quick break and motivating words from the Coaches Jeannine and Martin, the girls were able to take the next two games from the Bryant team. Onwards they continued. A tough battle was fought against the Scorpion team who let few balls drop on their side of the court and the girls lost each of the next two games at 25-15. The Silver Hawks placed THIRD overall in the tournament and played twelve games in total, recording seven wins. They dug deep and fought hard for each point. Congratulations to our athletes and coaches. You kept your fans on the edge of their seats throughout the day and made Durham Attack proud of your accomplishments! Since coming together as a team in September this year, the U13G Silver Hawks have practiced their skills diligently and with determination. This is a brand new team for Coaches Jeannine and Martin and they are working hard to ensure that the Silver Hawks are ready to play, both physically and mentally. The girls have approached every practice and training session with enthusiasm and determination. They are each sharpening their talents while becoming trained at their newly acquired skills. The Silver Hawks’ first exhibition tournament is in Baden, ON (near Cambridge) and is scheduled for December 1st, 2012. 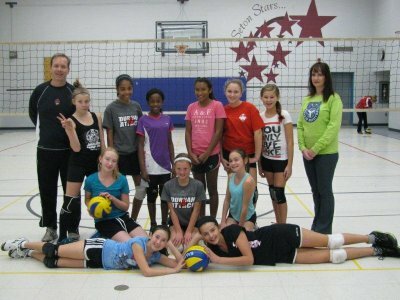 Everyone is keen and energized to play their very first games and matches together, as they represent Durham Attack. On behalf of everyone from the Silver Hawks U13G Team (of the Durham Attack Volleyball Club), I would like to thank you for your very generous sponsorship of our team, by keeping us hydrated, for the coming season. It has really sent a buzz through the entire team. I have posted some photos of pre-season training and sent you a thank you card from the entire squad. If you or anyone else from PepsiCo would like to attend any of our games or tournaments, you would be a most welcomed guest. Here’s to the start of a great season!! We promise to keep you updated of our progress. Thank you again for your generous sponsorship.